The Royal Navy has released footage of the moment it blew up a 1,500lb German mine in the Solent. The mine was reportedly found by a crane barge that was dredging the strait. The device, which dated from the Second World War, was towed to open water before being detonated. The video of the explosion shows the power of the mine blowing up a plume of water high into the air. In a statement Petty Officer (Diver) Richard Ellis said: “These mines were laid in their thousands during WWII but are rarely encountered these days – it’s only the second one we have dealt with in three years. The other one was in the mouth of the Thames. The explosion created a plume almost 1,000ft high. Shortly after the first explosion at the Stade de France, gunmen with Kalashnikovs launched an attack at Le Carillon bar and Le Petit Cambodge restaurant on Rue Bichat, in the city’s 10th arrondissement, killing 15 people and injuring 10. Militants launch an attack on La Belle Equipe in Rue de Charonne, spraying the terrace bar with bullets and killing 19 people in gunfire which witnesses say lasted “two, three minutes”. 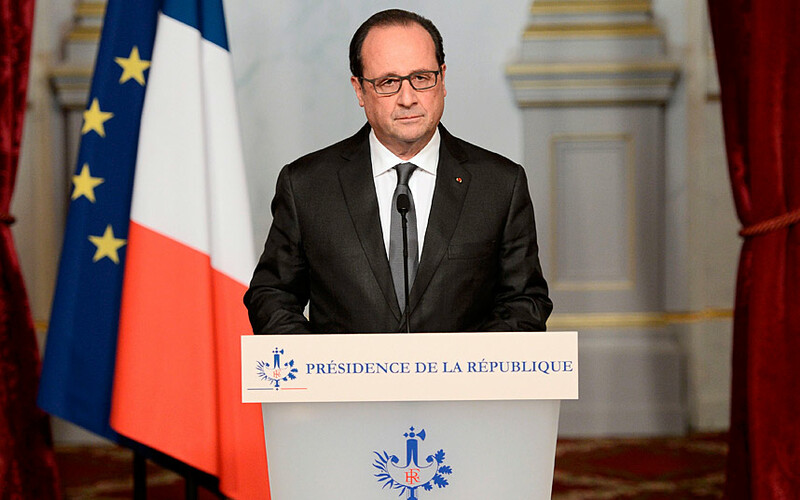 Hollande calls the attacks “an act of war… committed by a terrorist army, the Islamic State, against France, against… what we are, a free country”. He declares three days of national mourning. Isil claimed responsibility, saying in a statement issued in Arabic and French that the attackers had targeted “the capital of abominations and perversions and those who carry the crusader banner in Europe”. David Cameron warned the UK “must be prepared for a number of British casualties”, and condemned the “brutal and callous murderers. The Queen also sent a message of condolence to Mr Hollande, saying she and the Duke of Edinburgh had been “deeply shocked and saddened by the terrible loss of life in Paris”. One Briton is confirmed to have died and “a handful” of others are feared to have been killed. The British victim was later named as Nick Alexander, who was selling band merchandise at the Bataclan. Home Secretary Theresa May indicated the British death toll in the Paris attacks may rise as she said the government has concerns about a “handful” of UK citizens. She said that British police and intelligence agencies were “working day and night to keep people secure”.